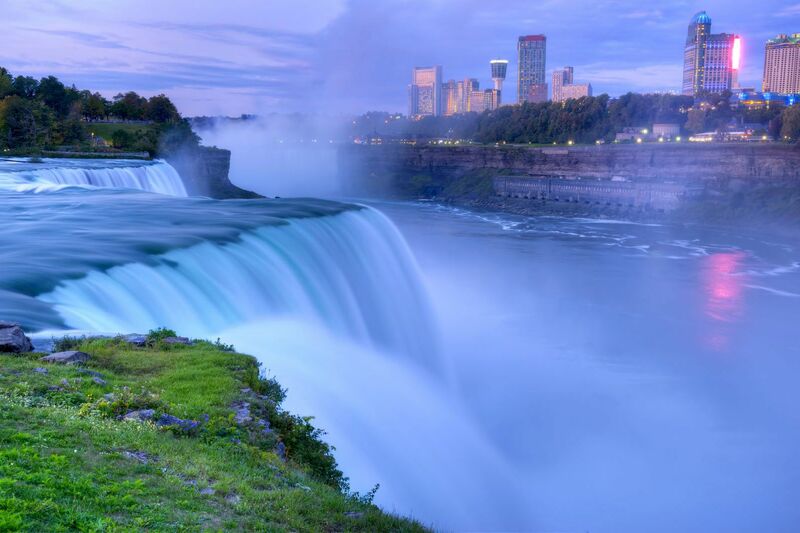 Ontario is often sidelined when it comes to choosing a destination to visit in Canada with most travellers opting for Vancouver or Quebec, but with its lakes and forests, Ontario has an irresistible draw, especially for nature-lovers. However, it also has Canada's largest city, Toronto, which is often mistaken for a business hub, but it is a rich and diverse city with a thriving art scene. Ottawa, Canada's capital still has a little way to go as far as developing an infrastructure appealing to tourists and still remains largely an administrative centre. 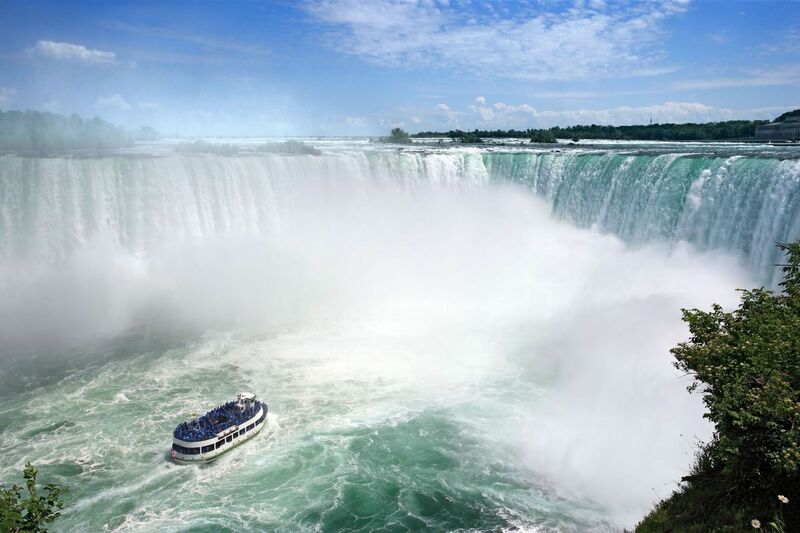 Most travellers will pass through Ontario to visit Niagara Falls, despite the attraction being somewhat of a disappointment. Surrounded by cheap and tacky hotels and games arcade, you may as well be in Blackpool. The falls themselves are not as majestic as one would think either. A good tip to keep in mind if you are making the trip, is to book accommodation in the neighbouring village of Niagara-on-the-Lake, as it is a lot more pleasant than Niagara Falls. The ideal stay in Ontario would comprise a week exploring countryside retreats like Killarney, a tiny village of about 700 inhabitants burried deep in the woods sitting on the shores of the Georgian Bay Lake. Although not as well-known as Algonquin, also very beautiful but busier, it is worth the trip, especially for its sapphire blue lakes. Visitors interested in winter sports can also head to Blue Mountain (Collingwood) in the winter, and in the summer, the weather is ideal for exploring the famous apple trail on a cycling holiday. The second half of a trip to Ontario should be spent in Toronto, a vibrant city full of things to see and do from the Hockey Hall of Fame to the Art Gallery Ontario. The use of arms for hunting is only authorised from 18 years of age in Canada. If you are not going on an organised trip, but just want to buy a plane ticket and get around by car, choose a plane + car hire package before leaving. This system is a lot less expensive than hiring a vehicle there. Like the United States, Canada is more of a non-smoking country. There are smoking and non-smoking areas in restaurants, however, most bed and breakfasts and gîtes are non-smoking. Smokers, we urge you to be aware. +The general mentality of the population: having had different waves of immigration for several centuries, Canadians can be proud of being open-minded and very tolerant, which is very pleasant to live with. -Canada is still quite an expensive destination, even by going backpacking, using camp sites and small restaurants. -The size of the provinces, such as Ontario and Manitoba, requires several weeks holiday and to travel over hundreds of miles to discover a maximum number of sites. Every summer, American Indian reserves also get together for the festivities. A social gathering: singing and dance competitions, far from being activities organised for tourists, perpetuate the traditions of the natives. Foreign visitors are welcome however. There are not many culinary specialities in Ontario. An agricultural province, it provides regional products like maple syrup produced here for centuries. The cities of Toronto and Ottawa are mostly distinguished by their cultural and therefore culinary diversity: more than a hundred varieties of cuisine are on offer in restaurants. The province of Manitoba also has this culinary mixture, but with regional dishes. One of the most common is the 'laquaiche au d'or", a fish served smoked. The 'yellow walleye', the 'arctic char', and the 'whitefish golden caviar' also form part of the acknowledged dishes. You must try bison served with wild rice - rice cultivated in lakes rather than in rice fields. Find weekly weather forecasts for Ontario . Different criteria make it possible to predict with precision the best time of year to go to Ontario . A comprehensive weather score, made up of temperature indicators, bad weather predictions, sunshine levels and wind speeds, will allow you to choose the activities best suited to the weather conditions and therefore make the most of your holiday in Ontario . Other products you should not miss include maple syrup and its derivatives, like butter spread. You will find this mostly in Ontario. Native craftwork offers nice souvenirs: sculptures, trapper's shoes, peace pipes, moccasins, jewels and skins. Go directly into the reservations, it is nicer, and the money goes directly to the producers! To make sure of the origin and manufacture of a sculpture, for example, you just have to ask for the authenticity label, which is provided by the government. The shops are open from 10.00am to 6.00pm from Monday to Wednesday; from 10.00am to 9.00pm on Thursdays and Fridays; from 10.00am to 5.00pm on Saturdays, and from 12.00pm to 5.00pm on Sundays. The corner shops (district grocery stores) are open until later, and are sometimes 24/24h. Our journalists' reviews for you 28 hotels Canada . Take a look at our hotels, their facilities or their value-for-money score according to your departure dates so that we can find the best offer to suit you Canada . Book a hotel Canada it's never been so simple !